Moonroof, Heated Seats, Onboard Communications System, Keyless Start, Turbo Charged Engine, Aluminum Wheels, ROADSIDE ASSISTANCE KIT, Back-Up Camera. SE trim, PLATINUM GRAY METALLIC exterior and BLACK LEATHERETTE interior. AND MORE!KEY FEATURES INCLUDEHeated Driver Seat, Back-Up Camera, Turbocharged, Satellite Radio, iPod/MP3 Input, CD Player, Onboard Communications System, Dual Moonroof, Keyless Start, Heated Seats MP3 Player, Keyless Entry, Steering Wheel Controls, Child Safety Locks, Electronic Stability Control.OPTION PACKAGESROADSIDE ASSISTANCE KIT booster cables, warning triangle, LED flashlight, multi-tool, work gloves, PVC tape, blanket, poncho, whistle, cable ties and bandages. Volkswagen SE with PLATINUM GRAY METALLIC exterior and BLACK LEATHERETTE interior features a 4 Cylinder Engine with 170 HP at 4500 RPM*.EXPERTS REPORTGreat Gas Mileage: 33 MPG Hwy.BUY FROM AN AWARD WINNING DEALERWe've been honored with several customer service awards, including a Volkswagen Generation Best Dealer award. We offer autos made with the power of German engineering. Volkswagen has thought about every detail of every car, every step of the way.Horsepower calculations based on trim engine configuration. Fuel economy calculations based on original manufacturer data for trim engine configuration. Please confirm the accuracy of the included equipment by calling us prior to purchase. Moonroof, Heated Seats, Onboard Communications System, Keyless Start, Turbo Charged, Aluminum Wheels, REARVIEW MIRROR W/HOMELINK, Back-Up Camera, CD Player. SILK BLUE METALLIC exterior and BLACK LEATHERETTE interior, SE trim. CLICK NOW!KEY FEATURES INCLUDEHeated Driver Seat, Back-Up Camera, Turbocharged, Satellite Radio, iPod/MP3 Input, CD Player, Onboard Communications System, Dual Moonroof, Keyless Start, Heated Seats MP3 Player, Keyless Entry, Child Safety Locks, Steering Wheel Controls, Heated Mirrors.OPTION PACKAGESREARVIEW MIRROR W/HOMELINK frameless, self-dimming rearview mirror w/compass and HomeLink garage door opener. Volkswagen SE with SILK BLUE METALLIC exterior and BLACK LEATHERETTE interior features a 4 Cylinder Engine with 170 HP at 4500 RPM*.EXPERTS ARE SAYINGGreat Gas Mileage: 33 MPG Hwy.MORE ABOUT USWe've been honored with several customer service awards, including a Volkswagen Generation Best Dealer award. We offer autos made with the power of German engineering. Volkswagen has thought about every detail of every car, every step of the way.Horsepower calculations based on trim engine configuration. Fuel economy calculations based on original manufacturer data for trim engine configuration. Please confirm the accuracy of the included equipment by calling us prior to purchase. Heated Seats, Brake Actuated Limited Slip Differential, Cross-Traffic Alert, Blind Spot Monitor, All Wheel Drive, Turbo Charged Engine, Aluminum Wheels. PLATINUM GRAY METALLIC exterior and BLACK LEATHERETTE interior, S trim. READ MORE!KEY FEATURES INCLUDEAll Wheel Drive, Heated Driver Seat, Back-Up Camera, Turbocharged, iPod/MP3 Input, Bluetooth, Smart Device Integration, Blind Spot Monitor, Brake Actuated Limited Slip Differential, Cross-Traffic Alert, Heated Seats Rear Spoiler, MP3 Player, Keyless Entry, Child Safety Locks, Steering Wheel Controls. Volkswagen S with PLATINUM GRAY METALLIC exterior and BLACK LEATHERETTE interior features a 4 Cylinder Engine with 168 HP at 4500 RPM*.VEHICLE REVIEWSGreat Gas Mileage: 30 MPG Hwy.BUY FROM AN AWARD WINNING DEALERWe've been honored with several customer service awards, including a Volkswagen Generation Best Dealer award. We offer autos made with the power of German engineering. Volkswagen has thought about every detail of every car, every step of the way.Horsepower calculations based on trim engine configuration. Fuel economy calculations based on original manufacturer data for trim engine configuration. Please confirm the accuracy of the included equipment by calling us prior to purchase. Heated Seats, Aluminum Wheels, Turbo Charged Engine, Back-Up Camera, iPod/MP3 Input, All Wheel Drive. FUEL EFFICIENT 30 MPG Hwy/22 MPG City!WHY BUY FROM USHere at Baxter Volkswagen Omaha, our commitment to our customers goes far beyond your initial vehicle purchase. We don't want you to just have a great buying experience at our Volkswagen dealership in Omaha, NE, we want to provide you with all that you need to have a wonderful life with your new car.Fuel economy calculations based on original manufacturer data for trim engine configuration. 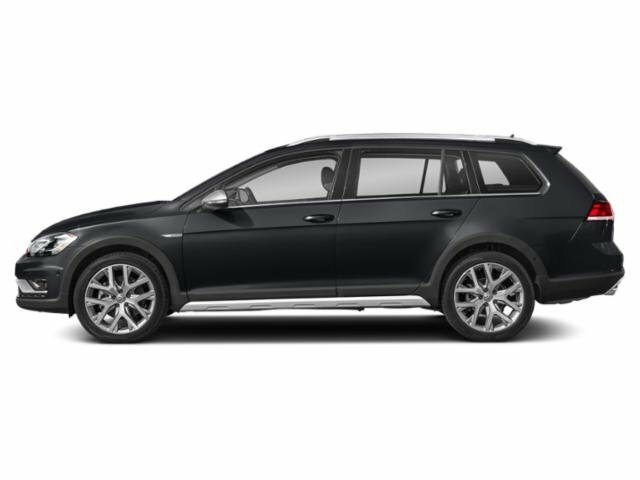 Heated Seats, Moonroof, REARVIEW MIRROR W/HOMELINK, Aluminum Wheels, Turbo Charged, Back-Up Camera, Panoramic Roof. EPA 36 MPG Hwy/27 MPG City!WHY BUY FROM USHere at Baxter Volkswagen Omaha, our commitment to our customers goes far beyond your initial vehicle purchase. We don't want you to just have a great buying experience at our Volkswagen dealership in Omaha, NE, we want to provide you with all that you need to have a wonderful life with your new car.OPTION PACKAGESREARVIEW MIRROR W/HOMELINK frameless, self-dimming rearview mirror w/electronic compass and HomeLink garage door opener.Fuel economy calculations based on original manufacturer data for trim engine configuration. Sunroof, Heated Seats, CD Player, Onboard Communications System, Keyless Start, Turbo, All Wheel Drive, FRAMELESS SELF-DIMMING REARVIEW MIRRO... Alloy Wheels. SE trim, PURE WHITE exterior and BEIGE LEATHERETTE interior. CLICK NOW!KEY FEATURES INCLUDEPanoramic Roof, All Wheel Drive, Heated Driver Seat, Back-Up Camera, Turbocharged, Satellite Radio, iPod/MP3 Input, CD Player, Onboard Communications System, Keyless Start, Cross-Traffic Alert, Smart Device Integration, Blind Spot Monitor, Brake Actuated Limited Slip Differential, Heated Seats Rear Spoiler, MP3 Player, Sunroof, Keyless Entry, Steering Wheel Controls.OPTION PACKAGESFRAMELESS SELF-DIMMING REARVIEW MIRROR electronic compass and HomeLink garage door opener. Volkswagen SE with PURE WHITE exterior and BEIGE LEATHERETTE interior features a 4 Cylinder Engine with 168 HP at 4500 RPM*.VEHICLE REVIEWSGreat Gas Mileage: 30 MPG Hwy.MORE ABOUT USWe've been honored with several customer service awards, including a Volkswagen Generation Best Dealer award. We offer autos made with the power of German engineering. Volkswagen has thought about every detail of every car, every step of the way.Horsepower calculations based on trim engine configuration. Fuel economy calculations based on original manufacturer data for trim engine configuration. Please confirm the accuracy of the included equipment by calling us prior to purchase. Moonroof, Heated Seats, CD Player, Onboard Communications System, Keyless Start, Turbo Charged Engine, All Wheel Drive, FRAMELESS SELF-DIMMING REARVIEW MIRRO... SE trim, SILK BLUE METALLIC exterior and BLACK LEATHERETTE interior. AND MORE!KEY FEATURES INCLUDEPanoramic Roof, All Wheel Drive, Heated Driver Seat, Back-Up Camera, Turbocharged, Satellite Radio, iPod/MP3 Input, CD Player, Onboard Communications System, Keyless Start, Cross-Traffic Alert, Smart Device Integration, Blind Spot Monitor, Brake Actuated Limited Slip Differential, Heated Seats. Rear Spoiler, MP3 Player, Sunroof, Keyless Entry, Steering Wheel Controls.OPTION PACKAGESFRAMELESS SELF-DIMMING REARVIEW MIRROR electronic compass and HomeLink garage door opener. Volkswagen SE with SILK BLUE METALLIC exterior and BLACK LEATHERETTE interior features a 4 Cylinder Engine with 168 HP at 4500 RPM*.EXPERTS ARE SAYINGGreat Gas Mileage: 30 MPG Hwy.MORE ABOUT USWe've been honored with several customer service awards, including a Volkswagen Generation Best Dealer award. We offer autos made with the power of German engineering. Volkswagen has thought about every detail of every car, every step of the way.Horsepower calculations based on trim engine configuration. Fuel economy calculations based on original manufacturer data for trim engine configuration. Please confirm the accuracy of the included equipment by calling us prior to purchase. Heated Seats, Moonroof, Back-Up Camera, FRAMELESS SELF-DIMMING REARVIEW MIRRO. 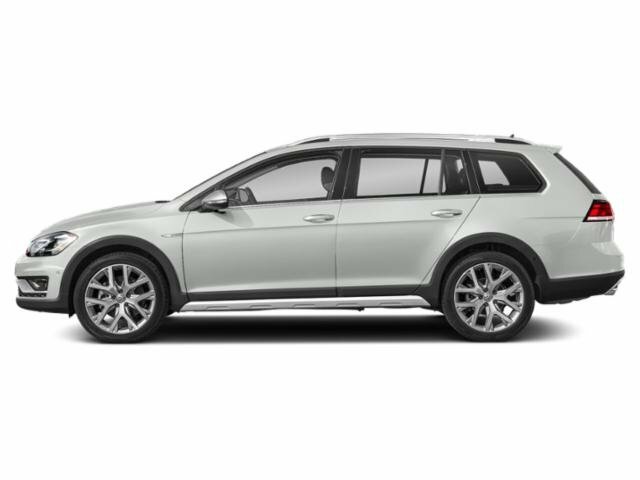 Aluminum Wheels, Turbo Charged Engine, All Wheel Drive, Panoramic Roof.WHY BUY FROM USHere at Baxter Volkswagen Omaha, our commitment to our customers goes far beyond your initial vehicle purchase. We don't want you to just have a great buying experience at our Volkswagen dealership in Omaha, NE, we want to provide you with all that you need to have a wonderful life with your new car.OPTION PACKAGESFRAMELESS SELF-DIMMING REARVIEW MIRROR electronic compass and HomeLink garage door opener. Sunroof, Heated Seats, Back-Up Camera, DRIVER ASSISTANCE & APPEARANCE PACKAG. FRAMELESS SELF-DIMMING REARVIEW MIRRO. Turbo, All Wheel Drive, Panoramic Roof. FUEL EFFICIENT 30 MPG Hwy/21 MPG City!WHY BUY FROM USHere at Baxter Volkswagen Omaha, our commitment to our customers goes far beyond your initial vehicle purchase. We don't want you to just have a great buying experience at our Volkswagen dealership in Omaha, NE, we want to provide you with all that you need to have a wonderful life with your new car.OPTION PACKAGESDRIVER ASSISTANCE & APPEARANCE PACKAGE Active Blind Spot Monitor w/Rear Traffic Alert, Lane Keeping System (Lane Assist), Adaptive Front-Lighting System (AFS), dynamic cornering light, Auto-Dimming Interior Rearview Mirror, Front & Rear Park Distance Control, Parking Steering Assistant (Park Assist), LED Headlights w/LED Daytime Running Lights (DRL), Wheels: 18 Y-Spoke Silver Alloy, High Beam Control (Light Assist), Tires: 18 All-Season, FRAMELESS SELF-DIMMING REARVIEW MIRROR electronic compass and HomeLink garage door opener.Fuel economy calculations based on original manufacturer data for trim engine configuration. Sunroof, Heated Seats, Back-Up Camera, DRIVER ASSISTANCE & APPEARANCE PACKAG. FRAMELESS SELF-DIMMING REARVIEW MIRRO. 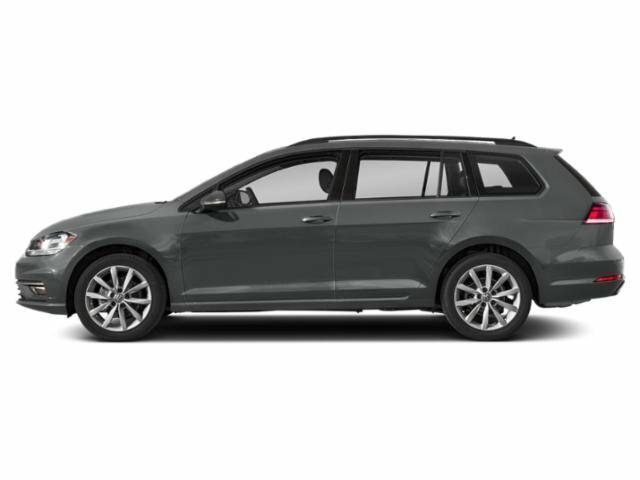 Turbo, All Wheel Drive, Panoramic Roof.WHY BUY FROM USHere at Baxter Volkswagen Omaha, our commitment to our customers goes far beyond your initial vehicle purchase. We don't want you to just have a great buying experience at our Volkswagen dealership in Omaha, NE, we want to provide you with all that you need to have a wonderful life with your new car.OPTION PACKAGESDRIVER ASSISTANCE & APPEARANCE PACKAGE Active Blind Spot Monitor w/Rear Traffic Alert, Lane Keeping System (Lane Assist), Adaptive Front-Lighting System (AFS), dynamic cornering light, Auto-Dimming Interior Rearview Mirror, Front & Rear Park Distance Control, Parking Steering Assistant (Park Assist), LED Headlights w/LED Daytime Running Lights (DRL), Wheels: 18 Y-Spoke Silver Alloy, High Beam Control (Light Assist), Tires: 18 All-Season, FRAMELESS SELF-DIMMING REARVIEW MIRROR electronic compass and HomeLink garage door opener. Moonroof, Heated Seats, Back-Up Camera, DRIVER ASSISTANCE & APPEARANCE PACKAG. FRAMELESS SELF-DIMMING REARVIEW MIRRO. Turbo Charged Engine, All Wheel Drive, Panoramic Roof. EPA 30 MPG Hwy/22 MPG City!WHY BUY FROM USHere at Baxter Volkswagen Omaha, our commitment to our customers goes far beyond your initial vehicle purchase. We don't want you to just have a great buying experience at our Volkswagen dealership in Omaha, NE, we want to provide you with all that you need to have a wonderful life with your new car.OPTION PACKAGESDRIVER ASSISTANCE & APPEARANCE PACKAGE Active Blind Spot Monitor w/Rear Traffic Alert, Lane Keeping System (Lane Assist), Adaptive Front-Lighting System (AFS), dynamic cornering light, Auto-Dimming Interior Rearview Mirror, Front & Rear Park Distance Control, Parking Steering Assistant (Park Assist), LED Headlights w/LED Daytime Running Lights (DRL), Wheels: 18 Y-Spoke Silver Alloy, High Beam Control (Light Assist), Tires: 18 All-Season, FRAMELESS SELF-DIMMING REARVIEW MIRROR electronic compass and HomeLink garage door opener.Fuel economy calculations based on original manufacturer data for trim engine configuration. Nav System, Heated Seats, Moonroof, FRAMELESS SELF-DIMMING REARVIEW MIRRO. Aluminum Wheels, Turbo Charged Engine, All Wheel Drive, Panoramic Roof.WHY BUY FROM USHere at Baxter Volkswagen Omaha, our commitment to our customers goes far beyond your initial vehicle purchase. We don't want you to just have a great buying experience at our Volkswagen dealership in Omaha, NE, we want to provide you with all that you need to have a wonderful life with your new car.OPTION PACKAGESFRAMELESS SELF-DIMMING REARVIEW MIRROR electronic compass and HomeLink garage door opener. Navigation, Third Row Seat, Moonroof, Heated Seats, Full-Time 4MATIC All-Wheel Drive, Power Liftgate, iPod/MP3 Input, HEATED STEERING WHEEL, HEAD-UP DISPLAY. Selenite Grey Metallic exterior and Black MB-Tex interior, E 450 trim. CLICK NOW! KEY FEATURES INCLUDE Third Row Seat, Navigation, Full-Time 4MATIC All-Wheel Drive, Power Liftgate, Turbocharged, iPod/MP3 Input, Onboard Communications System, Chrome Wheels, Dual Zone A/C, WiFi Hotspot, Smart Device Integration. Rear Spoiler, MP3 Player, Child Safety Locks, Steering Wheel Controls, Heated Mirrors. OPTION PACKAGES PREMIUM PACKAGE KEYLESS-GO Comfort Package, KEYLESS-GO, Hands-Free Access, Blind Spot Assist, Heated Front Seats, SiriusXM Radio, 6-month All Access plan trial, Inductive Wireless Charging w/NFC Pairing, Burmester Surround Sound System, PARKING ASSISTANCE PACKAGE Parking Assist Code, PANORAMA ROOF, HEAD-UP DISPLAY, EXTERIOR LIGHTING PACKAGE Lighting Package Code, Adaptive Highbeam Assist, LED Intelligent Light System, HEATED STEERING WHEEL. Mercedes-Benz E 450 with Selenite Grey Metallic exterior and Black MB-Tex interior features a V6 Cylinder Engine with 362 HP at 5500 RPM*. OUR OFFERINGS Mercedes-Benz of Omaha is a full service Mercedes-Benz dealership. We're part of the Baxter Auto Group, composed of 21 dealerships in Omaha and Lincoln, and Kansas City, Kan. Located off of 144th and L streets in Omaha, Neb. our showroom features the complete lineup of new Mercedes-Benz models and a selection of used and pre-owned vehicles. Call (844) 308-7331. Horsepower calculations based on trim engine configuration. Please confirm the accuracy of the included equipment by calling us prior to purchase. 3rd Row Seat, NAV, Sunroof, Heated Seats, Alloy Wheels, EXTERIOR LIGHTING PACKAGE, Full-Time 4MATIC All-Wheel Drive, Turbo, HEAD-UP DISPLAY. designo Diamond White Metallic exterior and Black Leather interior, E 450 trim. AND MORE! KEY FEATURES INCLUDE Third Row Seat, Navigation, Full-Time 4MATIC All-Wheel Drive, Power Liftgate, Turbocharged, iPod/MP3 Input, Onboard Communications System, Chrome Wheels, Dual Zone A/C, Smart Device Integration, WiFi Hotspot Rear Spoiler, MP3 Player, Steering Wheel Controls, Child Safety Locks, Electronic Stability Control. OPTION PACKAGES PREMIUM PACKAGE KEYLESS-GO Comfort Package, KEYLESS-GO, Hands-Free Access, Blind Spot Assist, Heated Front Seats, SiriusXM Radio, 6-month All Access plan trial, Inductive Wireless Charging w/NFC Pairing, Burmester Surround Sound System, DRIVER ASSISTANCE PACKAGE emergency stop assist, evasive steering assist, Active Blind Spot Assist, Advanced Driver Assistant System, Active Speed Limit Assist, Active Brake Assist w/Cross-Traffic Function, Active Lane Change Assist, DISTRONIC PLUS w/PRESAFE Brake, Route Based Speed Adaptation, PRE-SAFE PLUS Rear End Collision Protection, Active Steering Assist, PRE-SAFE Impulse Side, ACTIVE MULTICONTOUR FRONT SEATS W/MASSAGE FEATURE, PARKING ASSISTANCE PACKAGE Parking Assist Code, WARMTH & COMFORT PACKAGE Warmth & Comfort Package Code, Heated Steering Wheel, Heated Armrest, Front Seats Rapid-Heating Functionality, PANORAMA ROOF, HEAD-UP DISPLAY, EXTERIOR LIGHTING PACKAGE Lighting Package Code, Adaptive Highbeam Assist, LED Intelligent Light System, WHEELS: 19 AMG TWIN 5-SPOKE W/BLACK ACCENTS Tires: 245/40R19 All-Season, HEATED & VENTILATED FRONT SEATS. Mercedes-Benz E 450 with designo Diamond White Metallic exterior and Black Leather interior features a V6 Cylinder Engine with 362 HP at 5500 RPM*. Horsepower calculations based on trim engine configuration. Please confirm the accuracy of the included equipment by calling us prior to purchase.